There are always trends in craft beer across the U.S. from breweries pumping out insanely hoppy beers to barrel aged Imperial Stouts, of which I am a big fan of both, etc. Of the trends in recent memory nothing has me as excited as the growing popularity of American Farmhouse style breweries. These breweries take inspiration from the historic farmhouse breweries of the French and Belgian country side, but put their own American style stamp on the beers. Whether they are brewing with local ingredients, making something off the wall like Taco Beer, or simply brewing a spot on classic Saison. These breweries are all the rage these days, and as someone who visits Tired Hands often, I am not complaining. 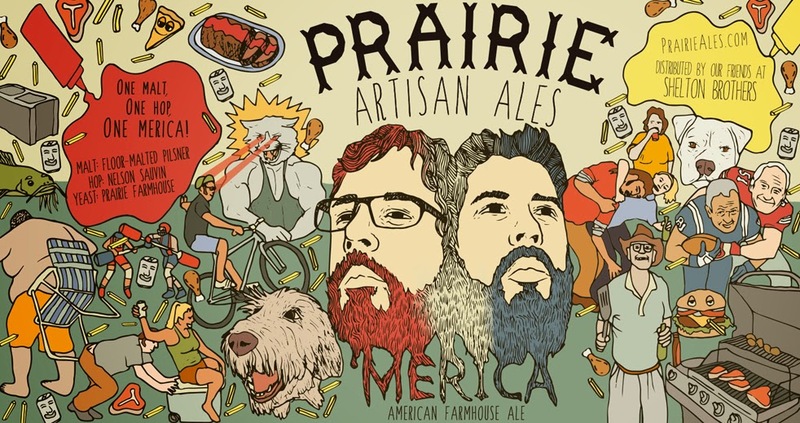 Following in the footsteps of Hill Farmstead, Jester King Brewery, Logsdon's Farmhouse Ales, Tired Hands, among many others obviously, comes a new-(ish) Farmhouse style brewery going by the name of Prairie Artisan Ales. I saw their Kickstarter a while back and meant to contribute but never got back to it, a shame because I wanted one of their Teku glasses. After a short amount of time people are going nuts over this Farmhouse brewery from Oklahoma?? So a simple grist, an aggressive hop and Brett? My kind of beer. It was bright, fruity, dank, spicy and some grassy hay like Saison notes, near perfection for me (see Derek's review at Bear-Flavored for a more thorough review). Fast forward a few months and I stumble across Shawn's post at Meek Brewing Co., and my head exploded. What a good idea, why did I not think to clone this beer myself! Prairie gives away a lot of the pertinent info on the beer right on the label. But Shawn did some leg work on the hopping rates in the boil and the dry hop, although the info came in after he brewed his batch. I brewed 10 gallons with the plan to drink 5 gallons fresh from the keg without Brett and the other half bottled with Brett. Brett strains, thats the final part of the recipe that I needed to figure out, which strains of Brettanomyces are Prairie using to condition the beer in the bottles? I wasn't able to dig up the info but my theory is that they are likely using commercially available strains that would promote fruity esters. So I am going with WLP644 Brett Trois and WLP645 Brett Claussenii, both of which I am familiar with and have used numerous times in the past. Brew day went fairly well, it was the first time I got to use my new 20 gallon Blichmann Boilermaker , which was pretty awesome. However, I took some bad advice on using a stainless scrubbie over the diptube to filter the hops. This ultimately clogged and I left ~2 gallons of perfectly good wort behind in the kettle. Aside from that pretty straight forward. I've posted about bottling a beer with Brett here before, but I want to stress that the beer really needs to be dry before doing this. For this beer I normally would have used Wyeast 3711 to make sure it was plenty dry so I could add Brett and bottle, but I had a great fresh 4th generation slurry of WLP565+WLP568 that I decided to use instead. The beer finished primary at 1.006 which I felt was too high to bottle with Brett, so I transferred to secondary and added a small 3711 slurry with a 500ml starter of both Brett strains. I will let it sit for 2-3 weeks then dry hop and bottle. I could have calculated for the extra gravity points in carbonation, which I may still do if it doesn't go very low, but I am more comfortable letting the 3711 (and some of the Brett) attenuate the beer over a short time. I fermented all 9 gallons together, ramped to ~82f after 7 days and held for 21 days. I kegged the clean portion and dry hopped with 4.50 ounces of Nelson Sauvin while the rest went to secondary with the Bretts and 3711 as noted above. Misc: 60 seconds of pure O2. Filtered Philadelphia Tap water, Baxter Plant, 1tbsp Gypsum in the mash. 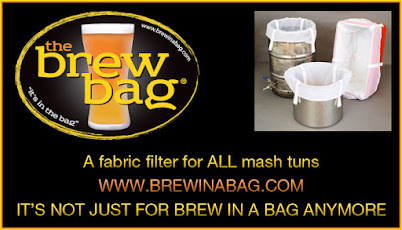 Notes: I started the fermentation cool and ramped up using a brew belt. My basement temps are in the high 50s but inside the fermentation chamber, with the brewbelt being controlled by the STC1000 I was able to ramp fairly steadily. As fermentation slowed it naturally cooled and then I turned off the brewbelt and let it crash naturally. I dry hopped with 1oz/gallon, I had hoped for 10 gallons of finished beer but since I had the Blichmann dip tube clog I made sure to scale back the dry hop to the proper ratio. Carbonated at 30psi for 5 days to ~2.8vols of co2. 1.006 too high for bottling? Certainly not my experience with commercial strains, but YMMV. Awesome post and setup though! I'll admit, I am being a little over cautious but after 3 weeks in secondary its already dropped to 1.004 which I am comfortable bottling at. Since the Brett wasn't introduced until after primary fermentation I couldn't really be sure how much the 2 strains would dry the beer out. I will be bottling this week once the 7 day dry hop is complete. Its tasting awesome! Easily a top 5 beer I have ever brewed. I have been sharing this one with alot of people and seem to be getting good comments. Thanks again for doing most of the legwork on this beer. My pleasure... it's nice to actually do a bit of work at a recipe and see some others benefit from it as well. I rarely (ever?) have brewed the same recipe twice, but I'd do this one over again in a heartbeat, maybe even later this year.